AFRICA ON WHEELS – Why Mobility? The Mobile Specialised Technologies (MST) Group is the African market expert in mobility. But what does it mean to focus on mobility, and why are we so determined to put our partner’s services on wheels? MST uses scalable solutions that extend the reach of our partners. So why make these solutions mobile? Well, mobility means services are able to travel directly to the doorstep of the individuals who benefit most from them. Services may be in the form of healthcare, education and training, various kinds of administrative work, or a combination of these offerings. Living in an economic climate where time quite literally equates to money – many people across the continent simply cannot spare the hours (or sometimes even days) that it takes to receive services from often under-resourced public facilities. Mobile solutions respond to this major societal pain by offering communities that are most in need of social services an alternative in which their convenience and time are prioritised – without the quality of services being compromised. 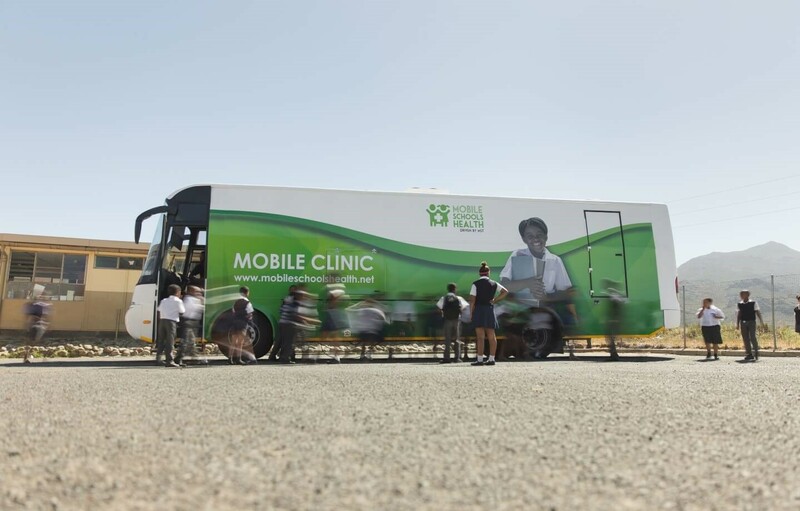 The MST mobile units are high-tech and agile solutions – adapted for and customised to suit our partners for whatever social service they hope to provide their users. Bringing services directly to communities means that more people are serviced – resulting in bigger impacts. To be clear – these are not once-off interventions. MST can ensure that communities are revisited at regular intervals, which means ongoing, sustainable and measurable impact. Our team at MST values sustainability. We go to every length to make sure our partners’ investments stay on the road and reach the communities they are meant to reach. We differentiate ourselves from others in the field of mobility by providing a truly full-turnkey solution. We challenge those who say, “you can’t do it all.” From manufacturing and maintenance support, to project management, where we go so far as to book our traveling staff’s nightly accommodation while they’re on the road – we address any concerns that could prevent a partner from going mobile. MST’s extensive experience across many disciplines, including healthcare, education, and administration – has made us a leader in mobile innovation. Mobility increases reach, impact efficiency and the overall end-user experience – and these are just a few of the benefits of our comprehensive solutions. So, why focus on mobility? With so much value to offer our partners, I think the better question is – why wouldn’t we focus on mobility? MST’s extensive experience across many disciplines, including healthcare, education, and administration has made us a leader in mobile innovation.